As a clinician who enjoys working with couples, there’s a sweet satisfaction that comes from hearing partners, possibly for the first time, communicate with openness, vulnerability, and honesty. You can see the light in their eyes when they hear their partner say something in a nice tone or say the words that they’ve been asking to hear all along. There’s a sense of empowerment that comes from being able to communicate in a way that allows your truth to be heard and for someone else to hear what you’re really trying to say. The teaching of communication skills to couples provides value and hope. It’s a way for everyone to come out of the room with a sense that something concrete has been achieved and can be replicated. What are some of these basic communication skills? “You” statement: You did not text me back on time and I’m furious. “I” statement: I felt a lot of anger when I did not get a text back from you. “You” statement: I’m so sick of you telling me I did something wrong. “I” statement: When I hear, “You did it wrong,” I get upset and scared. “You” statement: You always leave the chores for me to do and it’s not fair. “I” statement: I feel frustrated when I have to do all the chores. It’s not always easy to identify feelings about a situation, but “I” statements can create a foundation for healthier conversation. When a couple is in conflict and pesky cognitive distortions like generalizations and mental filtering are at play, it’s harder to identify and communicate things your partner is doing that you appreciate. 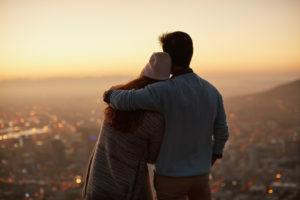 Finding these moments—small as they may be—and verbalizing them can motivate your partner to do more and increase positive connection in the relationship. Perhaps your partner picked up dinner for you both. It doesn’t negate that they didn’t do the 50 other things you wanted them to do that day, but acknowledging and appreciating that one action of care can stop a negative communication cycle from erupting and create an opportunity to connect. In this skill, we learn how to use of the word “and” to replace “but” in a sentence. Hearing your partner say, “I appreciate that you did the dishes, but you forgot to take out the garbage” may negate the positive action your partner completed. This easy correctable language mishap can quickly escalate conflict. Couples can instead be mindful of their use of “but” and replace it with an “and,” which sounds like this: “I appreciate that you did the dishes, and I would also like it if you could take the trash out later tonight.” It’s a simple shift that softens the blow and incorporates the good. In this situation, the receiving partner missed the communication that their partner was worried. The receiving partner may subsequently engage in defensiveness or shut down. In the skill of listen and repeat, the goal of the receiving partner is to use the same words their partner used without responding at first. It might sound like this: “When I didn’t call today to let you know I was going to be home late, you got upset and you worried about where I might be.” In this slowed-down scenario, the receiving partner might come to a new understanding about their partner’s experience and have a new way of responding. While these four basic communication skills are important, they lack the depth and insight needed to create opportunities for couples to understand their patterns of interactions, their triggers and behavioral patterns, and how they impact their partner. Furthermore, basic communication skills do not teach people how to respond to their partner with empathy. Pushing couples to explore opportunities to respond to each other’s primary emotions helps foster deeper connection and the ability to recover from the challenges that relationships inevitably present. Basic communication skills then become the icing on the cake. Understanding the pattern of behavior and the impact of those behaviors on the relationship is essential to helping a couple to pull out of destructive cycles. It’s important to create a safe space where the couple can share the deeper vulnerabilities and experiences that influence how they react to situations that trigger core emotions. It would not become clear from the conversations above how the feeling of worry manifests in one partner and how the sense of “not getting it right” triggers hopelessness in the other. Pushing couples to explore opportunities to respond to each other’s primary emotions helps foster deeper connection and the ability to recover from the challenges that relationships inevitably present. Basic communication skills then become the icing on the cake. 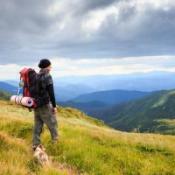 How does a couple get to this deeper place and promote change from the inside out? Emotionally focused therapy (EFT) is an evidence-based, short-term model that is designed to help couples decipher their internal world and strengthen their connection. EFT offers couples who are struggling, as well as those doing well, the chance to engage in meaningful interactions to improve and heal their bond. If you’re ready to move past basic communication skills, search for an EFT-trained therapist near you. I had to learn to incorporate “I” statements into my life and my relationship, but once I did, my relationship changed for the better. We had far less conflict, and the conflict we did have was resolved easier. It’s funny how such a simple change in how you communicate something can change so much. Great article! !